We’ve been talking a lot about the “off-label” uses of HBOT lately, so here’s some information about one of the few FDA, Medicare, and commercial insurance-approved conditions for the use of hyperbaric oxygen therapy (HBOT) – the treatment of non-healing foot wounds in Diabetics. Backed by a series of scientific studies demonstrating a significant reduction in major amputations HBOT was approved by Medicare in 2003. Hyperbaric oxygen therapy has been shown to be an effective method for treating diabetic foot wounds. Studies involving a significant number of patients have shown a high success rate in patients who had been unsuccessful with other modes of therapy. This treatment results in lower medical costs and better outcomes than standard wound care alone. Patients feel that HBOT is an effective treatment and reported that they were satisfied with how their ulcers healed and that this improved their quality of life. There is a substantial daily burden of care and emotional weight associated with living with diabetic foot ulcers, both of which are compounded by concern regarding possible amputation. Every year 12-24% of diabetes foot wounds result in amputation; this is over 60% of all non-traumatic amputations in the U.S. Diabetics are 15 to 40 times more likely to have a leg amputated than someone not suffering from the disease. 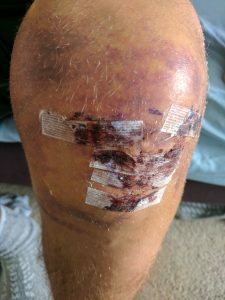 Amputation also puts the diabetes patient at risk for foot wounds on the opposite leg and eventual bilateral amputation. 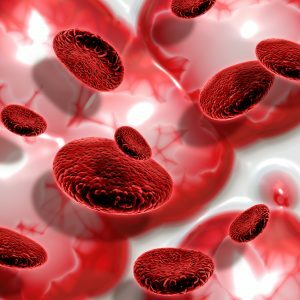 According to the CDC, diabetes related neuropathy with wounds has a relapse rate of 66% over 5 years, and 12% of people with wounds progress to amputation. HBOT is one of the safest treatments in health care, but there are some cautions for diabetic patients. HBOT has a hypoglycemic effect, reducing blood glucose levels an average of 50 mg/dL during treatment. Caregivers must check the patient’s blood glucose level before and after each treatment and postpone treatment if the pretreatment blood glucose level is 100 mg/dL or lower. There are also some diabetic medications that can be affected by HBOT, so always talk to your doctor and be sure your HBOT provider knows about your diabetes. Can HBOT benefit me post amputation and is the use of HBOT considered on or off label for insurance purposes? That’s a good question. I think with the variety of medical insurances available and the levels at which people subscribe to, we can’t answer that. However, I bet you anything your insurance rep can.